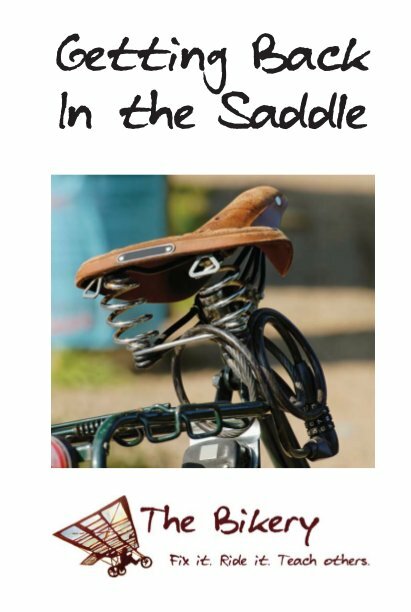 “Getting Back in the Saddle” was a training that I developed to help adults who haven’t ridden bikes since childhood get back into cycling. 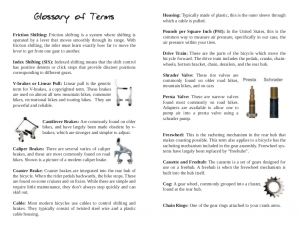 The class covered choosing the right bike, getting a good bike fit, what to wear, what else to purchase, and other topics. 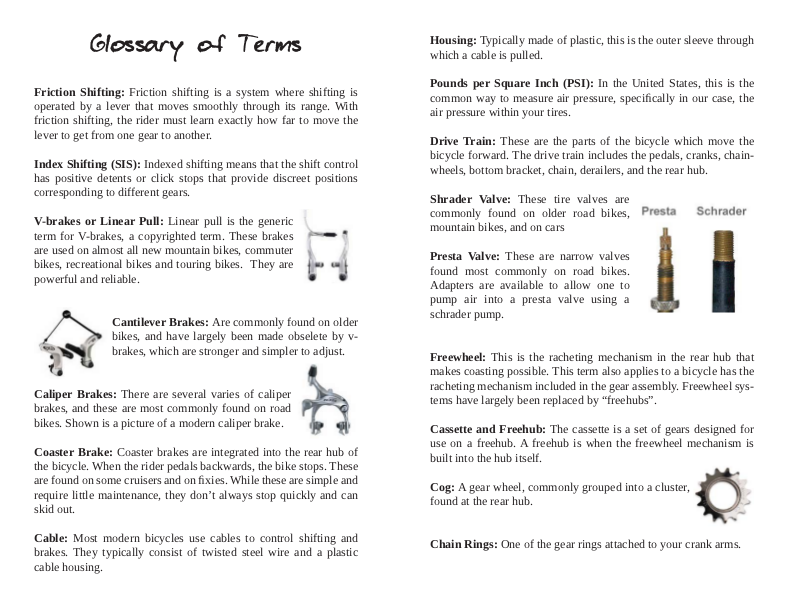 The workbook was a 28-panel booklet designed to be printed either in color or black-and-white. 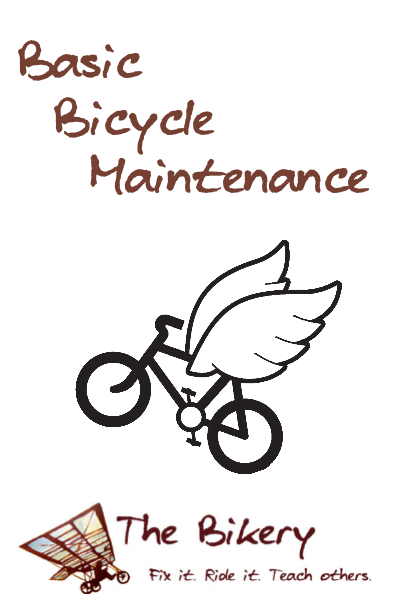 The text from this workbook came from the work of the Bikery’s programming committee. 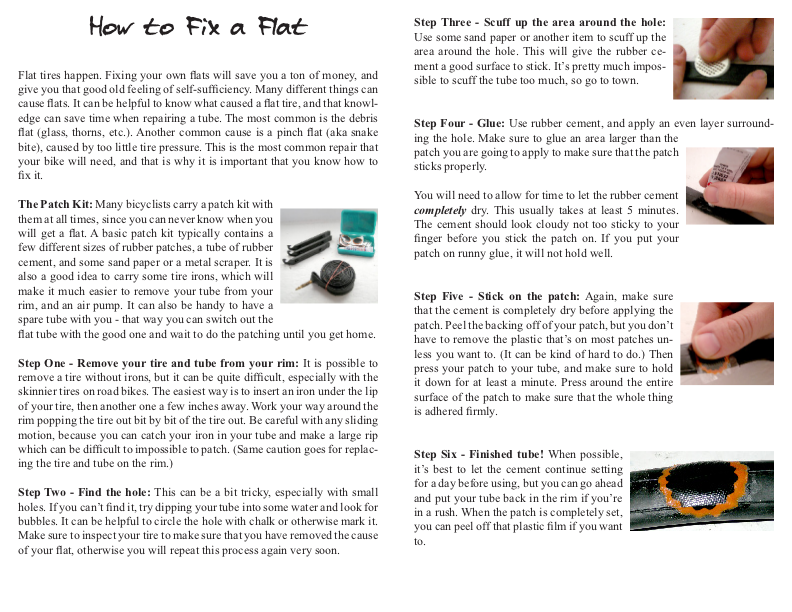 I produced this new layout for the workbook, and I took new pictures to aid instruction, including those seen in the “How to Fix a Flat” instructions. 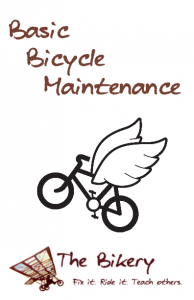 “Basic Bicycle Maintenance” is a 28-panel booklet designed to be printed either in color or black-and-white. 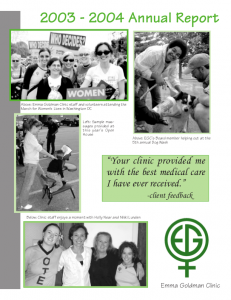 “Fertility Awareness” is a new edition of a booklet published two times previously by the Women’s Health Project. 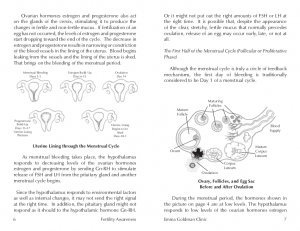 The new edition has more illustrations, examples and information for women looking to use this method to aid conception. 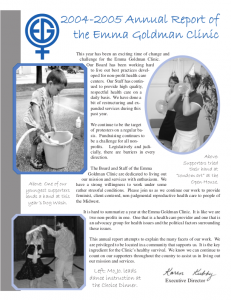 I coordinated the committee working on this book, contributed and edited content and created the new illustrations. 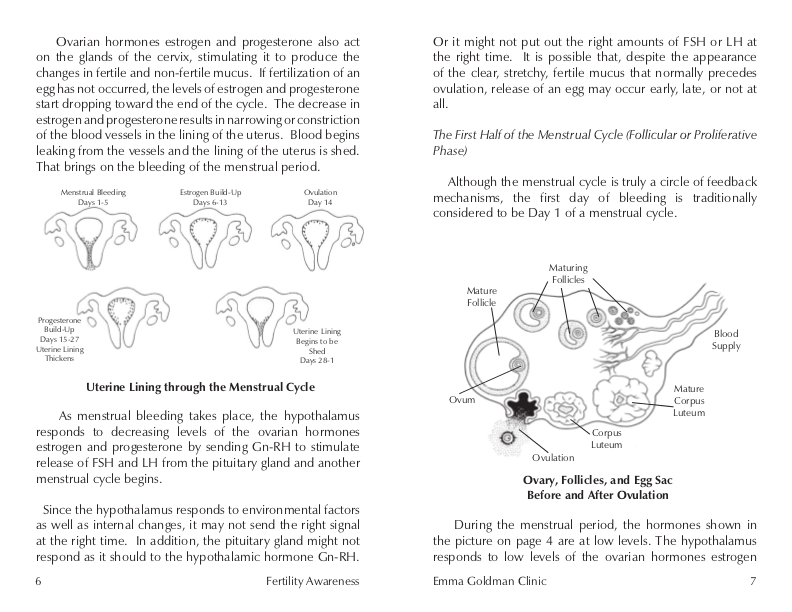 “Fertility Awareness” is an 88-panel booklet that was printed in black-and-white with a full-color cover. 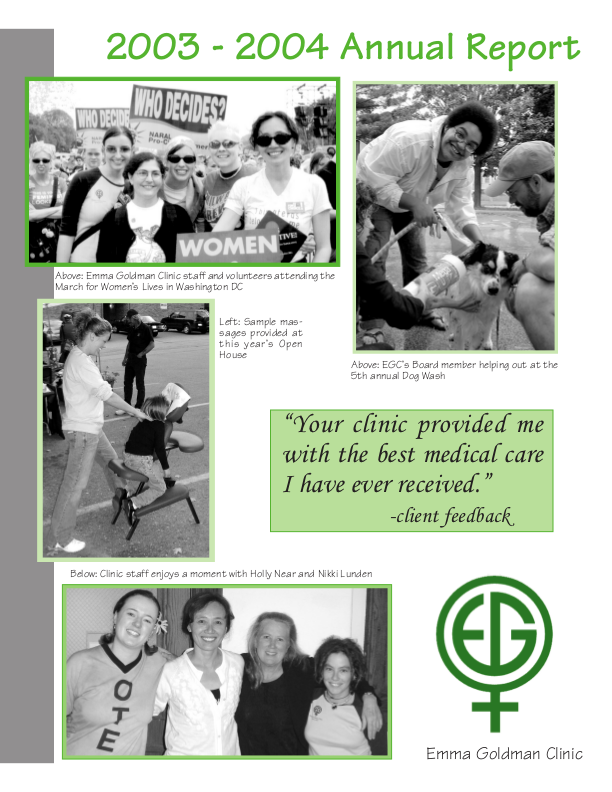 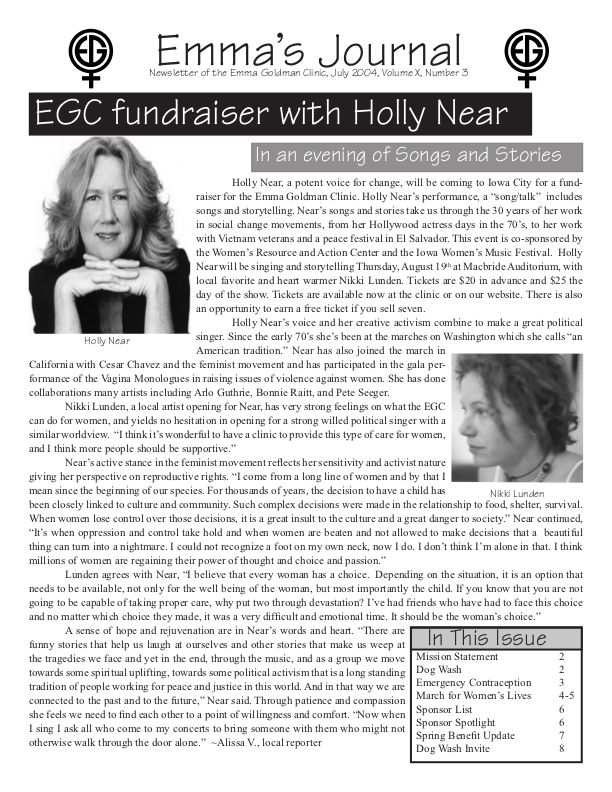 I served as the editor of the Women’s Health Project’s quarterly print newsletter, a role that included contributing articles, editing and proofreading, content supplied by others, and producing its layout. The top two are examples of some of their regular editions, and the bottom are examples of annual reports. More samples and full versions are available upon request.